Every Official Service Portfolio from Helper Helper comes with both a web link and QR code that can be used to validate that it has not been altered in any way and that the service has been validated by an institution the volunteer belongs to. 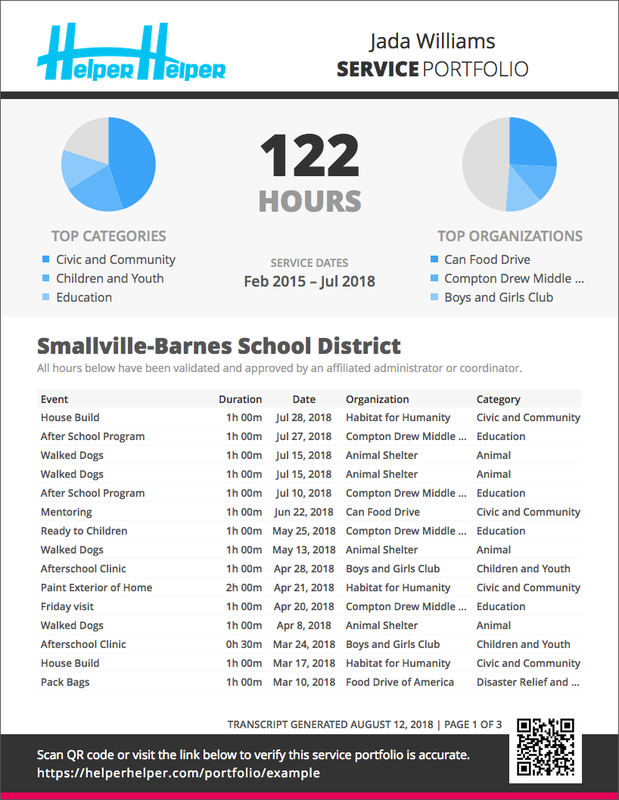 Volunteers can request their Official Volunteer Transcript from the Helper Helper application and receive a link they can share directly or use to download a PDF file that may be printed and attached to a college application or job resume. 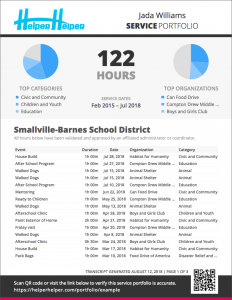 Give your students and administrators access to certified, tamper-proof transcripts of community service volunteer hours that can be referenced for graduation requirements, college applications, and job resumes. Have additional questions about this feature? Reach out to us.